I consider myself one that is pretty open to all types of beverages – both alcoholic and non-alcoholic. However, the powers that be in research and development have developed some beverages that for some reason continue to stay on the market*, even though they are the equivalent of drinking piss from the source. Patron Coffee – WHAT?! When I first saw this at a bar, I thought I was really drunk and hallucinating. But I was not. I love patron and I love coffee, but I drink each at opposite times of the day. Why would anyone want tequila flavored coffee (Editor: or is it coffee flavored tequila)? Don’t get me wrong, adding liquor to coffee, like baileys or Jameson, can be great – but tequila? Uh, no thank you. Silver, reposado and anejo…the only ways tequila should be produced. 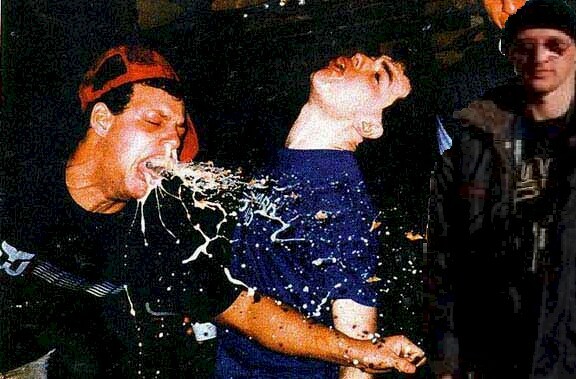 Smirnoff Ice – This drink is just plain gross. Drinking Smirnoff Ice will definitely furnish you with type II diabetes before getting you drunk. Makers of alcoholic beverages do not typically list the ingredients on the label, but if they did, here is what the ingredients of Smirnoff Ice would be: Corn Syrup, sugar, glucose, fructose, sucrose, Mexican unfiltered tap water, yellow #5, citrus flavor, a teaspoon of our disgusting smirnoff vodka. Sparks – This is an energy beer (I like to refer to it as “benergy”) produced by MillerCoors that brings the goodness of beer and an energy drink….TOGETHER! I guess no one at corporate realizes that these two liquids should be treated as MUTUALLY EXCLUSIVE! This combination reminds me of a Jim Gaffigan standup routine where he talks about the nastiness of fruitcake. Gaffigan explains that he doesn’t fully understand why fruitcake is so nasty because he says that, “Fruit…..good. Cake…..GREAT! Fruitcake…..nasty crap.” Same holds true for Sparks. Energy drink…..good. Beer….GREAT! Sparks – nasty crap! 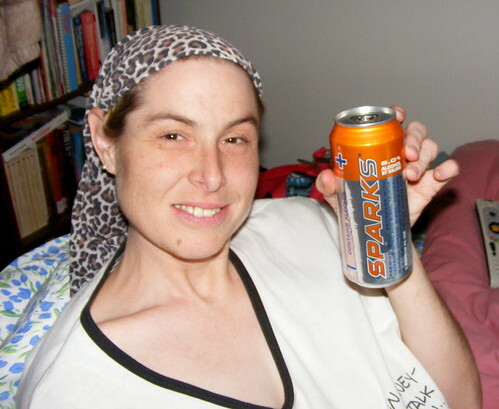 Here is the mathematical equation I deduced to come up with the taste of the Sparks combination: Beer + Energy Drink = college kid’s vomit. Diet Cherry Vanilla Dr. Pepper – It’s already bad enough that Dr. Pepper’s commercials compare regular Diet Dr. Pepper to eating dessert. But, the creators of the soda that already claims to have “23 flavors” in one can, had to take it one step further. Instead of letting people mess around on their own, mixing flavors at the soda fountain machine like little kids, Dr. Pepper had to add more flavors on his own to give us the taste of drinking carbonated diabetes – AAAAAND and a name that, if included a verb, would be a complete sentence. Another example of if it ain't broke, DON'T FIX IT! Miller Chill – Hey, I got an idea! Since there is nothing wrong with Miller Light, we should change it up! Let’s take Miller Light and ruin the flavor by adding imitation lime and salt flavor to it! I’m paraphrasing, but whatever schmuck who spoke these words at Miller R&D should have been fired on the spot with zero severance (editor: in addition to having the tires of their PT Cruiser slashed). According to the website, “Miller Chill is a chelada-style light beer. A refreshing take on an authentic Mexican beer recipe with a hint of lime & salt. Miller Chill, Muy Refreshing!” Really? A refreshing take? What Mexican beer recipe has lime and salt in it?! My definition of a refreshing take on an authentic Mexican beer recipe is taking REAL Mexican light beers, like Corona or Modelo Especial, and throwing them into a bucket of ice! Miller…just gross, dudes. Keep with your goddamn core competencies: MGD, Milla Lite, and High Life. Sheeeeeeeeeeeeeeeeeeeeeeeit. Honorable mentions: protein drinks, sugar water (in the plastic barrel with foil cap), Mike’s hard lemonade, prune juice. *Thankfully, Sparks was pulled from shelves in Q4, 2008. You really need to give coffee flavored tequila a chance. Honestly, you could dip pancakes in it. At the hispanic type convience stores there is a beer/tomato juice combo...That cannot be good. For the Love of God, Please Go Out of Business!